My preoccupation this summer has been Onopordum acanthium L. commonly known as Scotch thistle. 90,000 acres of public lands in Beaver, Millard, and Iron County in southern Utah were involved in large wildfires last summer. 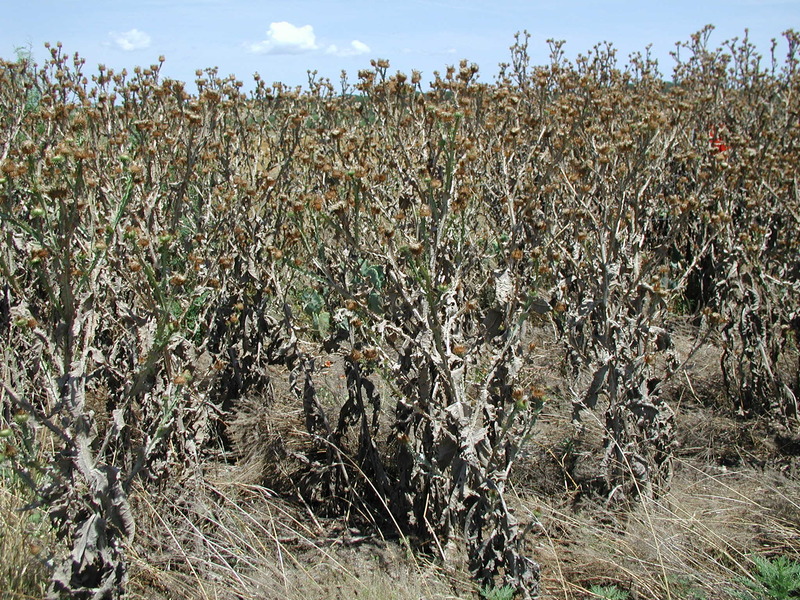 The burned-over areas tend to host invasive weed species like Scotch thistle. We contracted with the BLM to treat the weeds with herbicides to control infestation. Onopordum sometimes develops into dense thickets that block passage of men and animals.